26954 Corporal Thomas Pratt, 14th Battalion, Durham Light Infantry was killed in action 18 September 1916. 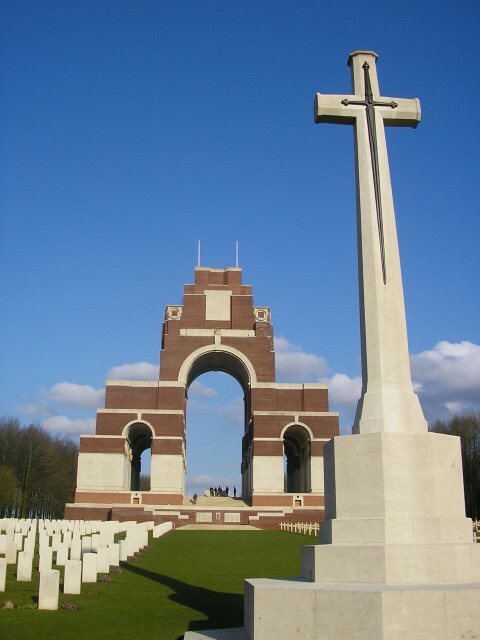 He was 23 years old and is commemorated on the Thiepval Memorial and the St. Helen’s Colliery Memorial Cottages. By 1911, the family lived at Boddy Street, Tindale Crescent. His father, William was “a colliery hauling engine man” and Thomas worked as an apprentice engineman for Pease and Partners,  the owners of the colliery. Thomas attested 7 September 1914 aged 21 years and 2 months. He lived at 6 Boddy Street, Tindale Crescent and worked as an “engineman fitter”. He was 5ft. 7” tall. He was posted to the 14th Battalion, Durham Light Infantry from the depot 7 September 1914 and given the regimental number 26954. Training took place at Aylesbury, Halton Park, High Wycombe and Witley Camp. 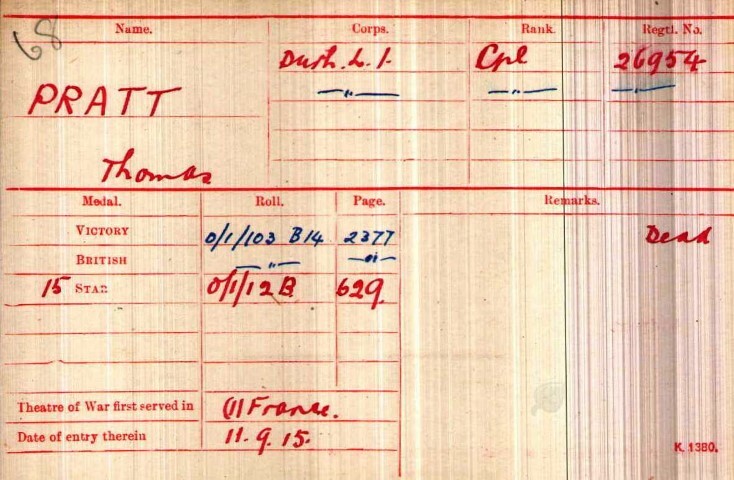 Thomas Pratt was promoted to Lance Corporal 26 June 1915 and to Corporal 24 July 1915. The battalion landed at Boulogne 11 September 1915 and the 64th Brigade was soon heavily involved in fighting at the Battle of Loos. Later research records that 14/DLI lost 4 officers and 50 other ranks killed in action and/or died of wounds between 25 and 28 September 1915. The 15/DLI lost 2 officers and 95 other ranks during the same period. Corporal T. Pratt survived this engagement. 12 September: 14/DLI moved up from Sand Pit Valley to the Citadel, south of Fricourt. They were in reserve with the 18th Brigade. 15 September: at night, sent forward to consolidate a position where the railway crossed the Ginchy-Leuze Wood road. 16 September: began work on an assembly trench in preparation of an attack upon a position known as “the Quadrilateral” in the early morning of the 18th. Heavy barrage came down. 18 September: the battalion had lost 3 officers and 21 other ranks wounded before the attack commenced. Rain fell, 14/DLI advanced behind a creeping barrage and took a trench called “the Straight” and the Quadrilateral and dug in within sight of the ruins of Morval on the other side of the valley. German gunners opened up on this new position. The brigade was relieved. 4 officers and 31 men were reported to be killed, 4 officers and 161 other ranks wounded and 32 men missing. 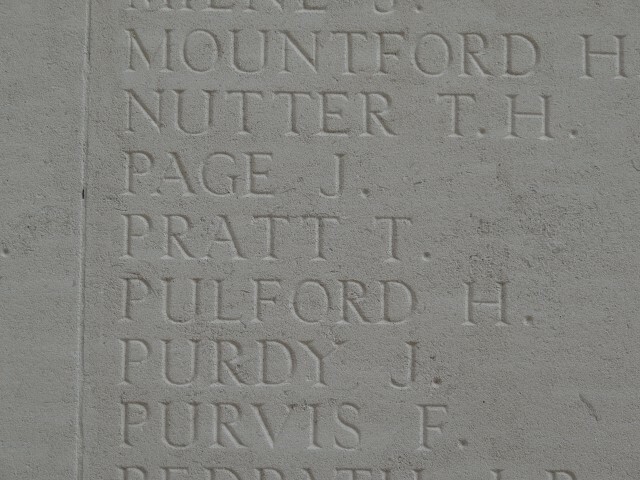 Corporal T. Pratt was recorded as “missing” 18 September 1916. Later research confirms that between 15 and 19 September 1916, 14/DLI lost 4 officers and 83 other ranks, killed in action and/or died of wounds. 26954 Corporal T. Pratt served a total of 2 years 12 days, 1 year 4 days at home and 1 year 8 days in France. He was finally regarded as being “killed in action” 20 April 1917. He has no known grave. Corporal Thomas Pratt was awarded the 1914-15 Star, the British War and Victory medals.